When most people think of divorce, they think of a courthouse battle. Florida’s court system pits husband versus wife, mother versus father, and what ensues is many times not too different from divorces depicted in War of the Roses or Kramer vs. Kramer. But collaborative divorce is something different altogether. 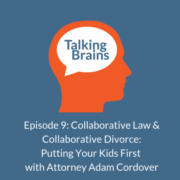 Collaborative divorce starts with each spouse retaining their own attorney who commits to privately resolving all disputes. The spouses and their attorneys sign a participation agreement which bars the attorneys from appearing in any contested court hearings against the other spouse. This means that no money is wasted on costly depositions, intrusive discovery requests, or anxiety-inducing trials. The entire focus for the attorneys is helping the spouses respectfully and transparently reach an agreement which peacefully restructures their family. To help expedite this process and guide discussions to be future-oriented rather than concentrating on arguments of the past, a neutral Facilitator is retained. The Facilitator, who oftentimes has a mental health background, ensures that communication remains constructive and that the spouses can focus on the matters that are most important to them, such as the welfare of their children. The Facilitator can give the spouses a better chance of maintaining a constructive relationship, even once the divorce is finalized. Further, to enable transparency in divorce discussions and create efficiencies in the process, a neutral financial professional is oftentimes utilized. In any divorce where there are issues of child or spousal support or division of assets and debts, Florida laws require the parties to fill out and exchange financial affidavits, tax returns, and other documents. In non-collaborative divorces, this is usually prepared by each attorney at high hourly rates. By contrast, in collaborative divorce, the neutral financial professional is in charge of the required disclosure and does so at one hourly rate that is obviously much less expensive than two attorney hourly rates. The neutral financial professional allows each spouse to trust, but verify, before making financial decisions. Additionally, the financial professional can ensure that the spouses are on better footing once the divorce is over with. In most marriages, there is one person who is much less knowledgeable about family finances than the other person. This can make transition to single life difficult, as that spouse is not familiar with balancing a checkbook or creating a household budget. The financial professional can teach these skills to the less financially-aware spouse and help him or her become independent. Divorce does not need to be adversarial. If you want to learn how the collaborative process can peacefully and respectfully help restructure your family, schedule a consultation with Family Diplomacy at (813) 443-0615 or fill out our contact form. 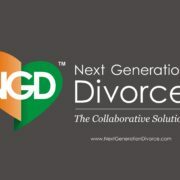 Adam B. Cordover is president of Next Generation Divorce, a network of independent attorneys, mental health professionals, and financial professionals dedicated to helping families via non-adversarial means. Adam is also on the Board of Directors of the Collaborative Family Law Council of Florida and the Research Committee of the International Academy of Collaborative Professionals.